Last night my first full length play, HASHTAGMETOOLADYCHATTERLEY, was featured as the final staged reading of New Light Theater Project’s Female Festival—a series of new works by female playwrights, directed by female directors. It was great to see the front end of this piece on its feet (the actors performed the 1st act plus a little extra), and I’m looking forward to what’s to come. Elisa & the Swans, Pt. 2 is up! If you were dying of suspense, wait no longer! The conclusion to Elisa and the Swans is up on Girl Tales—click here to listen! Elisa and the Swans, Pt. 1 -- available now! A few months ago, I wrote an episode of the podcast Girl Tales, where writers take fairy tales and adapt them so the girl is the hero of her own story. My tale, Elisa and the Swans, was taken from Hans Christian Andersen's The Wild Swans. It just dropped, and it sounds great! You can give a listen here! 'Population Control' at the Golden Door Film Festival! After a fun screening at the Chain Film Festival, Population Control will be back in September at the Golden Door International Film Festival! If you missed it this go around, or if you're planning on being in Jersey City on September 22nd, pop in and catch the show. You can buy your tix here. Finished up the script for an episode of the Girl Tales Podcast. More news on that when it finally hits the air! Performed in Annie LaRussa's play You Mother, part of 'The Playwright's the Thing' at the Barrow Group. 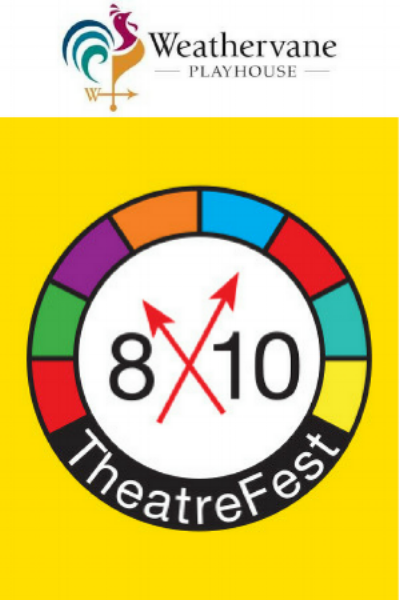 My short play Couch Monkey was performed as part of the Weathervane Playhouse's 8x10 TheatreFest in Akron, Ohio! I'm on the docket as one of the writers for the 24-hour Fast Play Fest at the Barrow Group, August 12th at 7PM. Click here for tickets! The short film I was a part of last summer, Population Control, will be screening at the Chain Film Festival in Manhattan on August 18th at 6PM. Join us! That's all for now, kids. See ya around!